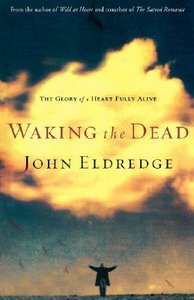 WAKING THE DEAD, the powerful new message from best selling author John Eldredge, inspires Christians to begin living from the heart so that they can live for the hearts of others. There is a glory to life that most people - including believers - never see. In this insightful new book, John Eldredge presents the heart as central to life. Not only is the heart essential; the heart God has ransomed is also good. Building on these precious truths, Eldredge shows readers why real Christianity is a process of restoration, whereby the broken parts of our hearts are mended and the captive parts are set free.